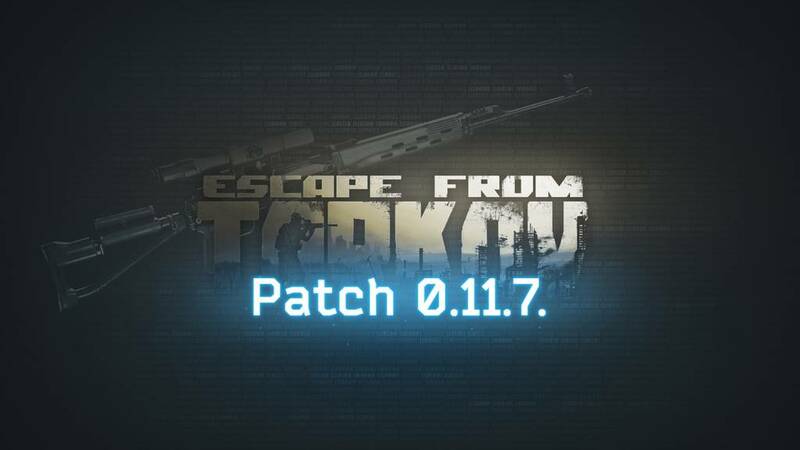 The installation of the 0.11.7.2979 patch is complete, you can download the patch through the game launcher. There was a wipe, only mastering was saved! • Fixed: Retreating bot, closed the door before entering the room. • Fixed: Opening doors, repel bot and prevent it from going inside, in the end, the bot stands and opens/closes the door. • Glitch - when emulating the pressing of the "walk" button, the player moved without animation of the foot movement. In addition, stamina did not spend. • FoV related bug which occurred when loading on a map with march Tactical 3-24х42 FFP scope along with other scopes, the FoV while ADS was severely shortened. • Errors while loading the Lab location. • Spamming error in offline raid "NullReferenceException: Object reference not set to an instance of an object BetterAudio.ReleaseQueue (.BetterAudioQueue queue)"
• A bug when a player dropped a weapon picked up from the dead bot. • Graphics Error.CopyTexture could not find destination D3D11 texture object. • A bug on the modding screen when there was no weapon lighting (at 4k resolution). - Да кому он нахуй нужен-то?! არა ისეთი არაფერია, თან ფიქსიც იყო გუშინ. და რას შვრებიან მაგ აპდეითში? Hideout will be implemented in 12.x.